Today, December 14, GRABBITZ releases his debut single on Ultra Records, “Information Overload” with Pierce Fulton. As an artist, multi-instrumentalist, producer, and songwriter, Buffalo-born GRABBITZ sustains an unfiltered vision and presents a new paradigm for pop music augmented by organic musicality, dynamic sound design, vivid lyricism, and intimate attention to detail. On “Information Overload,” he teams with VT-based producer Pierce Fulton on a pop-laden single that reflects the state of things today due to the impact of social media. Alongside the single is its video created by Seen Film (www.seenfilm.com), a company that specializes in animation videos of paper shapes. Past credits include work for Amy Lee, Ummet Ozcan, Vessels & The Flaming Lips, The Shins and many others. For “Information Overload,” they explore themes of social media overconsumption, removing ourselves from reality and lack of real human interaction. 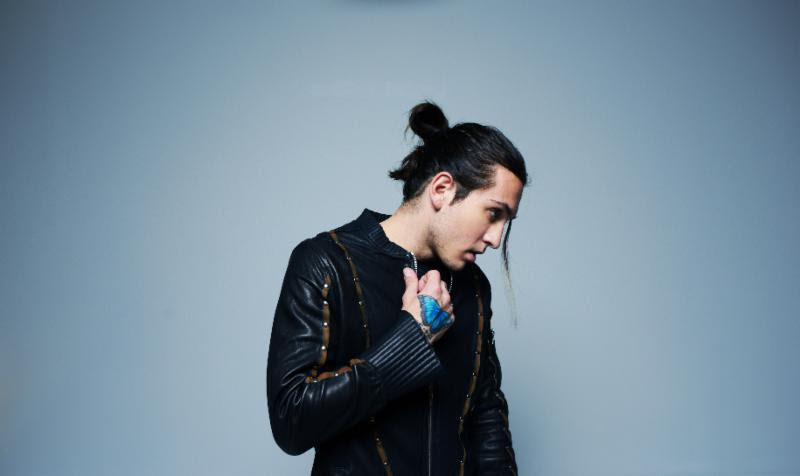 With well over 20 million Spotify streams on his catalogue, GRABBITZ (aka Nick Chiari) combines elements of pop, rock, and hip-hop–all of which are being glued together by a rhythmic, electronic heartbeat. Prior to signing with Ultra Music in 2018, he released two albums Things Change and Better With Time. He was also featured on deadmau5’s hit single “Let Go,” which has over 18 million YouTube views and reached #11 on Billboard’s Hot Dance/Electronic Chart. GRABBITZ–who splits his time between downtown Los Angeles and his native Buffalo in western New York–is responsible for every single aspect of his songs, from writing to production to performance. He’s probably the only artist to ever be compared to both Trent Reznor and Eminem in the same breath (by Billboard).